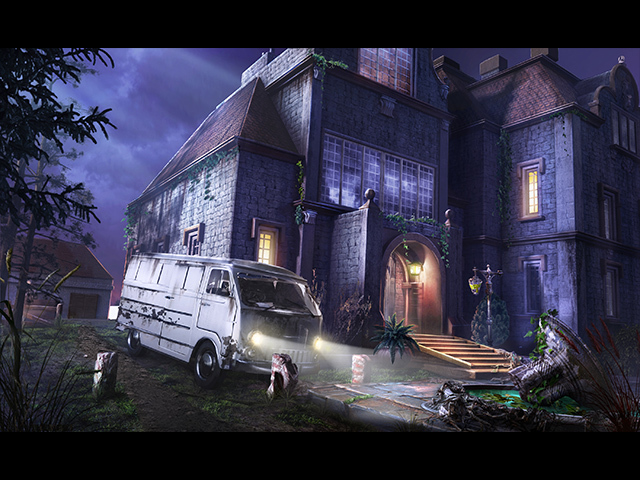 Mystery Case Files: The Countess is rated 3.3 out of 5 by 17. Rated 5 out of 5 by Yanie1020 from Wish I'd Bought the CE! Wow, wow, and wow! Puzzles are my favorite part of the game, and this game has tons of them. I should have bought the CE. Everything was good. I almost never skip puzzles but I skipped two in this one after spending about 30 minutes on each one. One skip was because the instructions were terrible and I wasn't sure what to do. The other was a circular photo where you had to move the sections to complete a picture. It drove me nuts and I had to skip it because I was turning into a wreck! Great voiceovers, music wasn't annoying, and (most of all) puzzles galore. 10 stars! Rated 5 out of 5 by Homeimps from A Puzzle Lover's Dream This was probably my favorite MCF game thus far, as I'm a great fan of puzzles and it has a ton of them. Not only are there a lot of puzzles, but they are truly original, not just the ones we have seen far too often that are sometimes put into games as filler. The graphics, as always, are great, as is all the audio. I do wish people who either don't like puzzles or are less capable of figuring out how to play them would refrain from giving games like this a poor rating; there are so many thousands of HOG's for people who prefer to just look for items in piles of stuff, it's a rare treat to occasionally find one like this that has a challenge as well, and I'd suggest to those nay-sayers that there are more than enough of the simple kind out there for them to play. I'm going to buy Broken Hour next as the demo had me hooked, and am looking forward to seeing what the next MCF has in store now that they've set the bar higher for themselves. Rated 5 out of 5 by shagwendy from Review of Finished Game I loved this game! It could have been a little harder, but it's the normal hardness for this game site. This game is almost all puzzles but they were pretty easy. 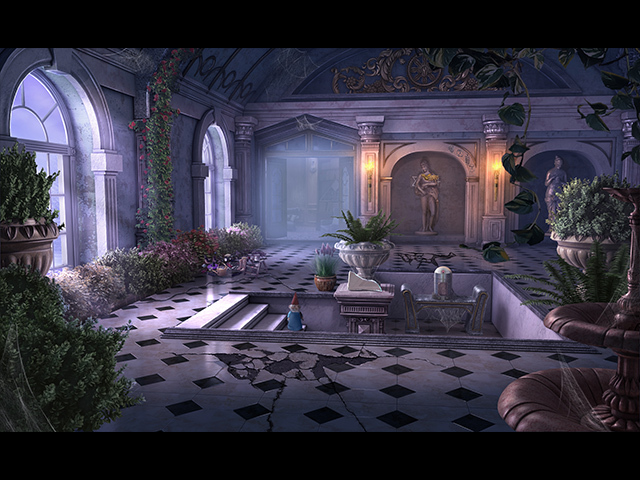 Each scene has lots of things to do, lots to pick up and several puzzles, but only one HO scene. You didn't have to traipse all over the place, I hardly used the map or hint to transport, you were only using about 5 locations until you moved onto another part of the map. The story unfolded well, you didn't forget why you were doing what you were doing, and it even had a good plot twist towards the end. I was happy with the standard edition, there was so much to do I didn't even miss looking for collectables and the story ended well, so I didn't miss a bonus chapter. It usually takes me a while to finish a game because I get bored but with this game I wanted to keep playing. It was a fun game, a puzzle lover's dream. I highly recommed it. Rated 5 out of 5 by Tflo from Fun game with great puzzles! This game has everything I like. Challenging fun puzzles and plenty of them! I enjoy the haunted type theme and this fits the bill. The game is lengthy as well so I feel I got my monies worth! Mystery Case Files have always been my favorite! Rated 5 out of 5 by lynnminer from Why the bad reviews?? I am so glad I decided to buy this game despite some bad reviews. If you love puzzles like I do, try this game! It is loaded with puzzles, many that are different than the norm and also has the multi-level puzzles that are so fun. This is a long game so you definitely get your money's worth! It's one of the funnest games I've played and I have played hundreds. Give it a go! Rated 4 out of 5 by deddu from Puzzle Mania I have played almost all of the MCF games and have never seen so many puzzles. Some of which were rather difficult with no clear instructions in an SE game. But, if you like puzzles this game is for you. There are hidden objects throughout the game --most of the list type. I did like the graphics and the atmosphere of the game. Rated 4 out of 5 by Martini483 from A good Game I am only critical of the puzzles. I am not sure if they are as hard as reported, or as I find them, or just the instructions are vague. You need to test these to folks who did not design it. If I can't figure out what the heck I am supposed to do, I skip it and that is not good. Rated 4 out of 5 by charlene_lane from DESTROY THE MIRROR REVIEW FROM COMPLETED GAME AND BONUS Well fishies, if you love lots of hidden object and mini-games, then this will be perfect for you. Here you have to find Eleanor and then learn the story about Gloria and William Coddington. There are lots of twists and turns with the story and things are not what they seem. There is: * Voiceovers (with dialogue); * Easy, Medium, Hard and Custom modes; * Interactive map; * Journal. The graphics are superb, with just the right amount of colour. This is one huge manor with lots of locations, so you won't be bored here. Sound is good and the music is orchestral and stunningly beautiful. I've always loved the MCF music and even the family know it well from me having it on loud over the years. 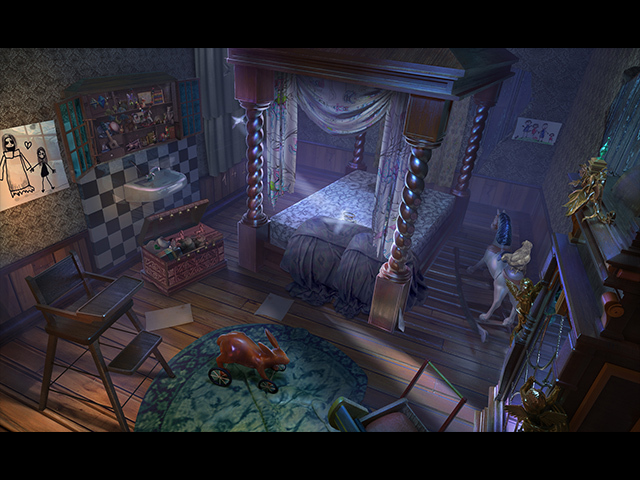 The hidden object games are mainly slightly interactive straightforward and there are a lot of them. These are easy to do because items are very clear to see. Now, there are a lot of mini-games to play - some are easy and others take a lot more thinking and strategy. There are a couple of super mini-games, however these are not too hard to do. The first one took me about 20 minutes because I was a bit out of practice, but the second one only took about 5 minutes. There is something in there for everyone, even if you are not a fan of them. I loved them all because its the first game in ages that I had to think, rather than just click. All up the game and bonus took me a good 9 hours or so - that's playing all the mini-games without skipping. Some did take me a while. So, do you get the CE or SE? The CE has 37 morphs and 37 glass shards to find throughout game and bonus; 24 replayble mini-games and 24 replayable HOPs and 12 achievements (some with 3 circles). If you are thinking about just getting the SE I would reconsider because the bonus is integral to the main game and you won't get the full story of this disfunctional family. Overall a totally immersible game with lots to do, incredible mini-games and an intense desire to find out what happened to this family. Happy playing fishies. Its a long game, so please get comfortable. Rated 3 out of 5 by Twinkie1981 from A bit too much This game has some very challenging puzzles. So challenging, that I just pressed the "skip button". which I rarely do. The amount of puzzles was a little exhausting. I mean, I know its a puzzle game, but the amount of challenging puzzles made it a bit frustrating. Some players might find it just right for their needs. Some of the instructions for the more challenging puzzles were a hard to follow.